Yesterday while driving, I noticed the trees are beautiful with color right now. I always look forward to this moment when they haven't fallen off the branches yet. Seeing them, I reminded myself not to miss it. Sometimes I get so busy that they're gone before I notice; I don't want that to happen this year. 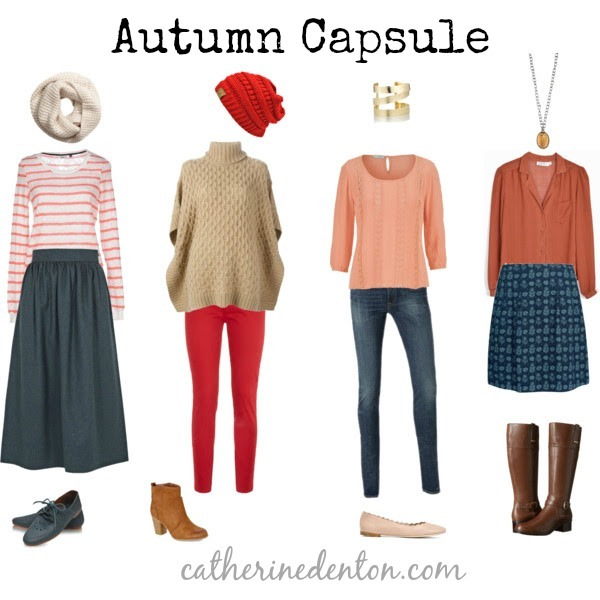 I took inspiration from their beautiful hues with this capsule wardrobe intended for fall. These are some of my favorite colors, what are yours?